In the early days of voice search, most people dismissed the idea of speaking rather than typing as a gimmick. After all, publicly asking personal assistants like Siri or Google Now to search ‘Gangnam Style’ would undoubtedly be greeted with several disapproving stares (and perhaps a few dance move homages). But fast forward six years and voice search is now a more accepted way of accessing information online. In fact, voice search comprised 20% of queries on Google’s mobile app in mid-2016, according to Google CEO Sundar Pichai. While more recent stats about behavioural habits are a little bit difficult to come by, it’s clear voice search has cemented its place in today’s digital society, thanks in large part to devices such as Amazon Echo and Google Home. But where does this leave the world of content marketing? If more and more users are conducting voice searches, do your content marketing efforts need to change? Some say yes, but others disagree… Several industry commentators believe voice search is like virtual reality, chatbots, and other recent trends – something that requires consideration, but only needs to integrate into your existing marketing mix if there is a pressing need for it. In this blog, we’ll explore the zeitgeist of voice search – why it deserves your attention, how to go about adapting your content (if at all), and which brands are currently leading the way. Don’t be fooled into thinking voice search is a novelty; it’s gone beyond a fleeting fad to claim a surprisingly large percentage of online searches. With more virtual assistants coming to market, accompanied by increasingly intelligent language processing and machine learning, voice search will continue to rise in popularity and pertinence. 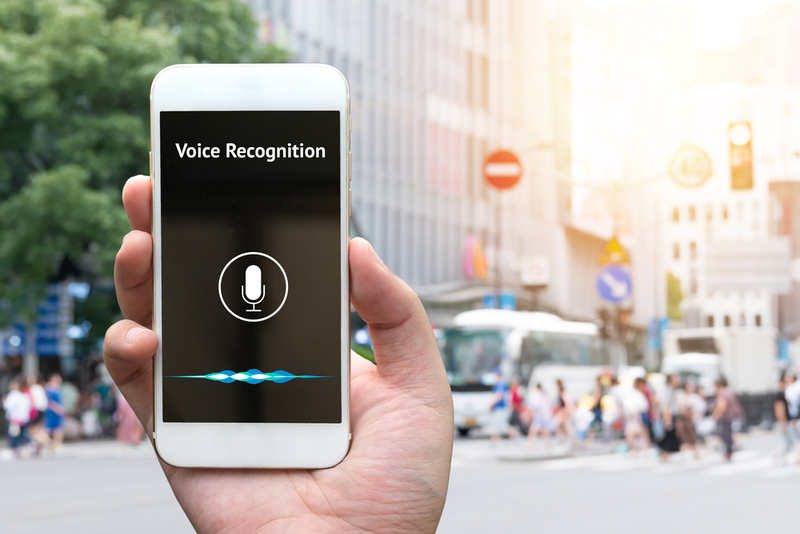 “Voice search is one of the most rapidly adopted technologies in recent history and it’s changing the way consumers interact with the world around them,” said Elizabeth Walton, Vice President of Marketing at digital knowledge management platform Yext. So, does this mean voice search will eventually replace all other means of accessing information and content online? No – it’s a matter of user intent. They most likely don’t deal with sensitive information. With this in mind, it’s imperative for marketers to understand user intent before overhauling their approach to content marketing. Think carefully about why people are choosing to engage with a virtual assistant as opposed to a search engine web page. Chances are, they simply want a nugget of throwaway information instead of an in-depth content experience. This makes even more sense when you consider MindMeld’s 2016 Intelligent Voice Assistants Research Report into the primary reasons behind voice searches, as well as where they take place. But even if voice search is only being used to facilitate quicker, more convenient content journeys, that doesn’t mean you can afford to dismiss its potential influence on your own marketing activity. For example, what if your company blog continues to succinctly answer industry-related questions? Or your business has an online star rating that exceeds competitors in the local area? Can you rely on Google, Apple, and Microsoft to send voice search users your way? Britney Muller, SEO & content architect for Moz, recently ran an experiment for the Content Market Institute, asking “What are the best laptops?” to three pre-eminent voice assistants. As it does with traditional web searches, Google delivered the most relevant and detailed voice search results. This is because many of its voice answers come from Featured Snippets – a self-contained answer to search queries taken from a third-party site, positioned right at the top of the SERPs. It’s at the forefront of many a content marketer’s strategy already, but seeing as Google-enabled voice search only delivers a single answer, Featured Snippets represent the holy grail of voice search, as well as SEO. But there’s another reason why Featured Snippets can be compared to the holy grail – eagerly pursued and sought after, yet incredibly difficult (impossible?) to attain. Therefore, is there any point in even trying to become a Featured Snippet to get noticed by voice assistants? Well, the approach you’d need to employ shares several traits with best practice for content marketing and SEO anyway. Contained long-form content – The average word count of a voice search result page is 2,312 words. Longer content means more opportunities for on-page text to “match” your user’s voice search query. Contained concise answers – The typical voice search result is only 29 words in length. Google wants voice search results that are brief and to-the-point. Highly-shareable – The average voice search result has 1,199 Facebook shares and 44 Tweets. However, it’s highly unlikely voice search uses social signals within any algorithm. Appeared as a Featured Snippet – 40.7% of all voice search answers came from a Featured Snippet. For this particular analysis, Brian only looked at voice search results that cited a source. Ranks in Google desktop search – Approximately 75% of voice search results rank in the top 3 for that query. There’s a strong probability this finding is pure correlation, not causation. Written at a 9th grade reading level (or below) – Simple, easy-to-read content helps with voice search SEO. Google emphasises ‘Elocution’ in its official Voice Search Rater Guidelines. Ask any marketing or SEO expert (including Brian) and they’ll tell you that this checklist contains several, if not all the essential elements a piece of content should strive for in the first place. As a result, your content creation doesn’t have to deviate too far from tried and trusted paths, especially if there is little to no chance of attracting voice searches. Conduct extensive keyword research – You can use SEMrush to research keywords that result in a Featured Snippet, or Moz’s Keyword Explorer to save lists and determine which keywords have a Featured Snippet. Not only should you target keywords that return Featured Snippets within your industry or niche, but also those you’re already ranking for. Try to improve upon the experience current pages provide but stick with a similar format. Think about language – This is particularly relevant with local searches, which tend to take the form ‘pizza takeaway Leeds’ on mobile and desktop. But when it comes to voice search, users are much more likely to speak in full sentences with longer, often unnecessary words in-between such as ‘Where are the best places to get takeaway pizza in Leeds?’. So, think carefully about your use of adjectives, connecting words, and prepositions with voice search-optimised content. Create FAQ pages – FAQ pages follow a format that is tailor-made for voice search; a conversational question with a concise answer below. Also, as mentioned above, voice searches are often long-tail queries, which are commonplace on FAQ pages. Another compelling reason to go down this route is the fact very few voice search results contain the exact keyword in their title tag. It is more beneficial to write long-form content that answers several different queries on a single page rather than optimising individual pages around each keyword. Set-up a HTTPS-secured website – For the time and money it takes to set-up a HTTPS-secured website, you might not think the ‘minimal boost’ Google promises for voice search is worth it. However, Backlinko’s study found that 70.4% of voice search result URLs have adopted HTTPS (compared to only 50% of Google desktop results). Once again, this relationship could be chance correlation, but its worth serious contemplation given voice search’s single answer responses. While this advice will by no means guarantee voice search prominence, it can’t hurt your chances and could even propel existing SEO efforts further. So what about the brands that have managed to succeed with voice-based content marketing? Is their activity limited to Google Home or do they work across other voice assistants like Amazon Echo (Alexa)? Whereas several brands are targeting Google in their quest for voice search greatness, others believe Amazon Alexa and its ‘Skills’ represent a better opportunity to be heard by consumers. Alexa Skills allows users to perform voice-activated controls that range from news and information to education, games, and shopping. Hellman’s – Several food brands have developed skills for users based on their product offerings, but Hellman’s goes one step further by expanding the ways in which to discover recipes. Whether they’re based on the ingredients you have or found via browsing ideas, Hellman’s will send you an email containing a link to your chosen recipe, thus increasing the mileage of content. Vogue – Fashion magazine Vogue recently delivered engaging voice content to users through a partnership with Google Home. By saying, ‘Okay Google, ask Vogue to tell me more about Jennifer Lawrence’, writer Jason Gay would provide behind-the-scenes insights into his interview with The Hunger Games star, thereby extending the reach of existing content. Tide Stain Remover – Perfectly aligned with voice search intent, Tide’s Stain Remover skill tells you how to get rid of coffee spills or grass stains from your clothes. You receive step-by-step instructions, product recommendations (Tide, obviously), and a follow-up text message. Bringing additional devices into the fold gives Tide a clever multi-channel marketing advantage. Clearly, there is huge scope for voice search to work hand-in-hand with content marketing. It might need an original, or indeed paid-for approach, but as long as the content meets user intent and encourages further interaction, most efforts should result in positive outcomes. Voice search continues to gain popularity as a legitimate (and socially acceptable) way of interacting with digital devices. It not only delivers relevant content quickly, but also makes the whole experience easier when you’re otherwise occupied or can’t be bothered to use your hands – that’s a serious reason and not just condemnation of 21st century laziness. For these reasons, brands should be mindful of curating content experiences just for the sake of voice search optimisation, as most of the time, user intent will be absent or non-applicable. 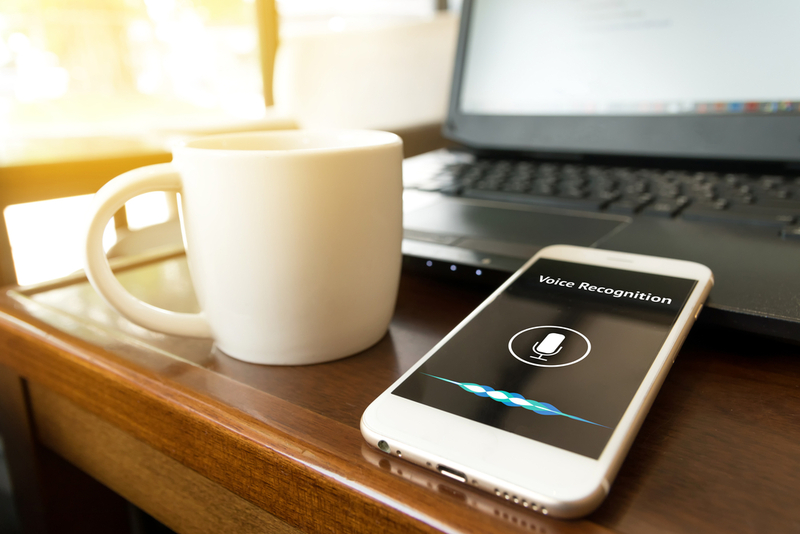 But in instances where content could make use of voice search, brands are advised to follow a set of precise guidelines, several of which already make sense from a marketing perspective. 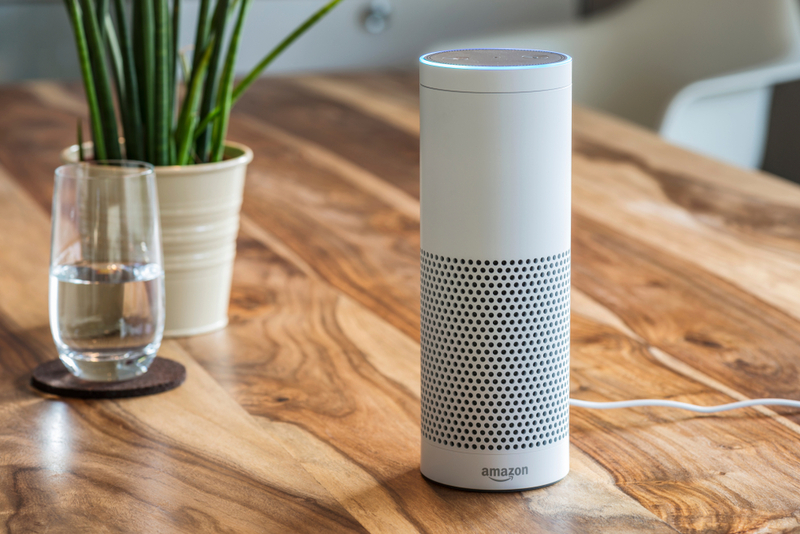 It’s also a good idea to think about the voice search or voice assistant device your content marketing activity would be best suited to – Amazon Alexa has taken off with lifestyle brands, whereas Google Home (and the way it sources content from high-ranking web pages and Featured Snippets) is more open to optimisation and innovation from virtually any enterprise or industry. Voice search clearly has a future, even if it’s limited to household or entertainment devices. But where there’s opportunity for brands to be featured as the answer to a question or provide a concise slice of information, the role content marketing could play should not be underestimated. Want to learn more? Check out our post covering everything you need to know about voice search.